Here is a dress I’ve just finished for Petite Chérie (DD). The dress is very “I always Get Straight A’s in school” and was sewn from an Ottobre Design pattern. Really simple to make, I see many other variations of this Ottobre pattern in the future. The dress will be worn over a light sweater or long sleeves T-shirt with tights and boots. All photos are at the end of the article. The pattern used is # 18 “Tropical Blend” from the Ottobre magazine issue of summer 2011 (03/2011). You’ll tell me that the dress is neither summer nor tropical. 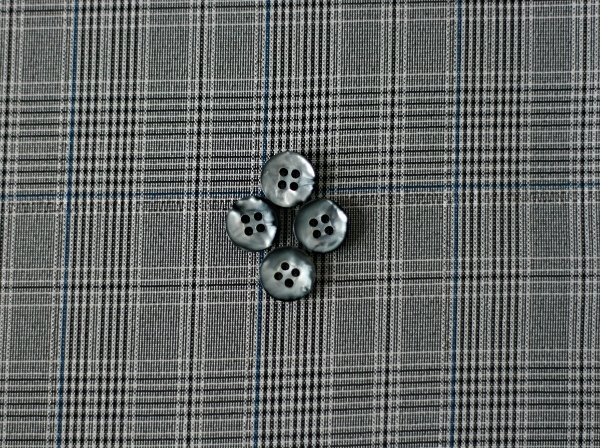 Yes, but this is just proof of the versatility of this pattern: it can easily adapt to your desires. 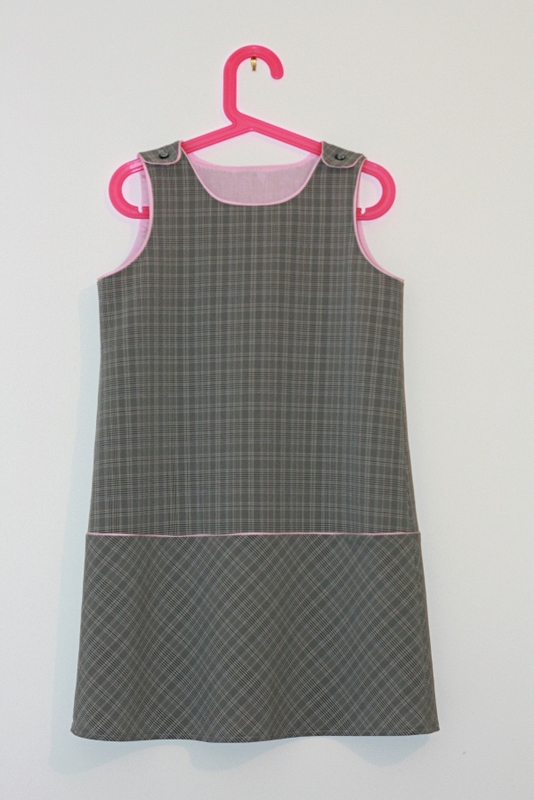 The pattern is simple: a pinafore dress with neckline facings. It’s closed by snaps at the shoulders. 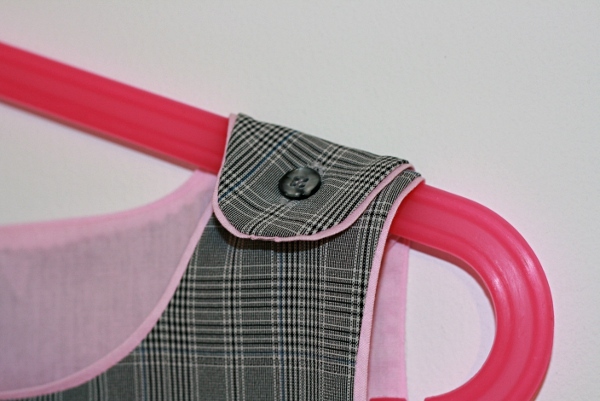 To add interest to the dress, flat piping finishes armholes and the neckline. 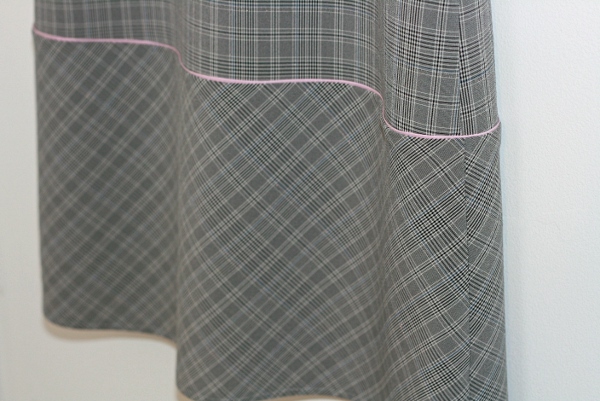 Three variations of the skirt are available with box pleats, gathers, or plain with pockets. 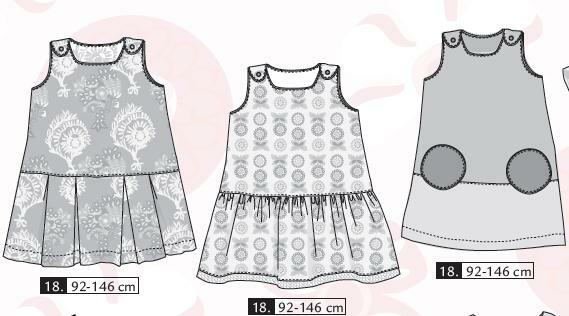 They are great at Ottobre Design, so to make life easier, the 3 skirt variations each has its own pattern piece. I used the size 134 for my daughter who just turned 8. She measures 129cm today but I hope she’ll wear this dress next fall too. And the 128 size would probably have been too small in a few weeks anyway. 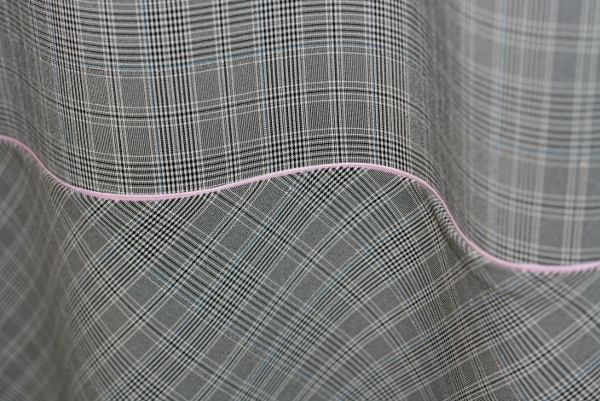 The main fabric, some might have noticed, is the same Prince of Wales check as for my “Back to school” Peony dress. 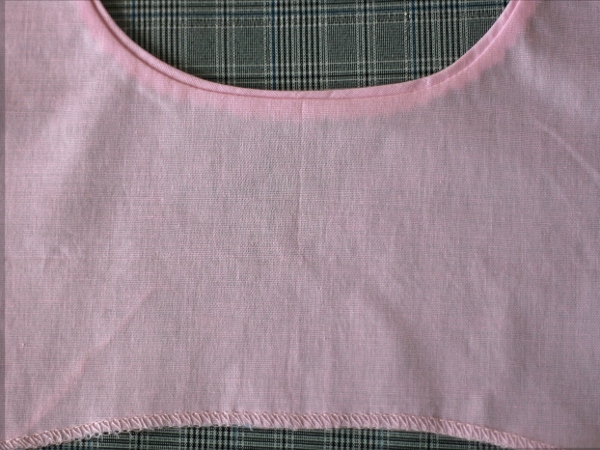 For the facings and flat piping I used a pale pink cotton to break up the severity of the dress. Well… Just a little because it’s clearly not a “party” dress. 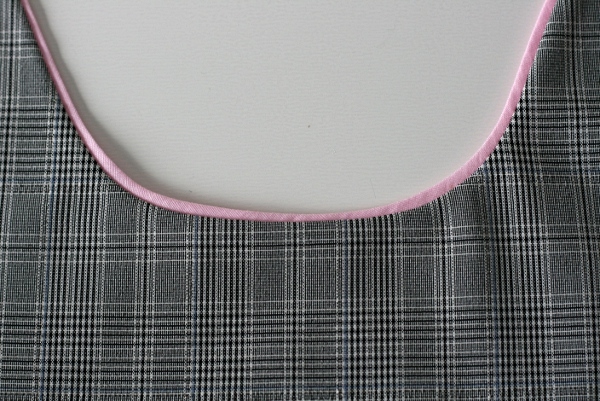 I used the plain skirt variation but I cut the panel of the skirt on the bias. I added a flat piping between the top and the skirt to highlight the change of direction of the Prince of Wales check and to break the monotony of the whole. I didn’t sew the round pockets. This “Tropical Blend” dress from Ottobre Design is a great pinafore dress pattern that can easily be decline in many ways and the 3 different pattern pieces for the skirt greatly facilitate the process. This pattern is joining right away my list of favourites. My “main” blog is the French one http://www.couturestuff.fr but I try to keep up with the English version.